I posted a new video this week about what I was getting done in the kitchen to save money and preserve some of my garden produce and I’ve decided to start a new series called My Frugal Kitchen. Basically I’ll pick a day where I have several things to accomplish and bring you along so you can see what I’m up too. I think this will be a fun series and I hope you will follow along with me by subscribing to my YouTube channel. My hope with this series is to keep myself accountable to do more from scratch cooking, get more of my produce preserved and hopefully share a few useful tips with you guys along the way. I’m not sure how often I’ll be posting for this series, but I’m excited about it! 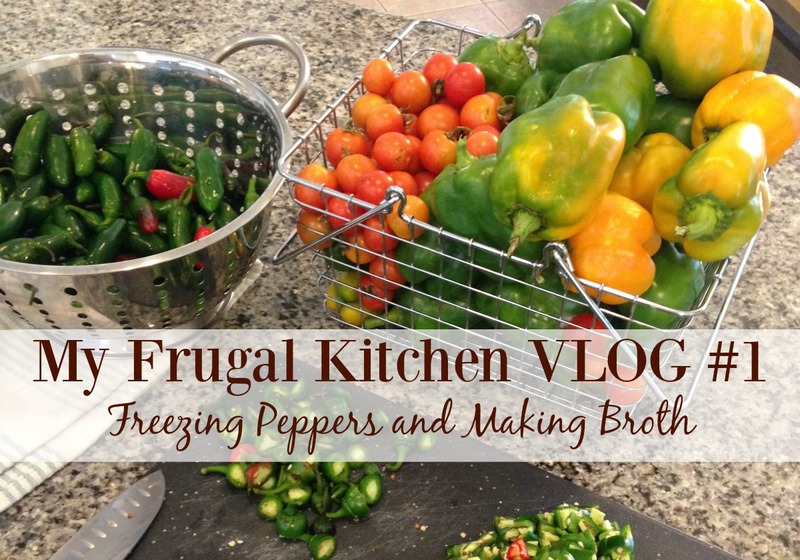 Check out the recipes below to learn how to freeze your own peppers and make chicken broth. Also, be sure to subscribe on Instagram @missyrakes to keep up with all that I’ve got going on! Have a great day friends and please let me know what you’d like to see in the future for this series in the comment section!